Following the passing of Leonard Nimoy last week, space games like Star Trek Online, Elite: Dangerous, and Star Citizen all have heart-warming plans to memorialize the man who brought Spock to life. I want to once again express my heartfelt condolences to the friends, family, and fans of Leonard Nimoy. Everyone at Cryptic Studios was saddened to hear of his passing and we want to make sure we never forget the cultural impact of the man or the character he played. To that end, the Star Trek Online team will implement a standing in-game memorial to Spock and Leonard Nimoy this Thursday March 5th with our regular weekly maintenance. Given Nimoy's immense influence on the sci-fi world, it's probably not surprising to hear that Star Trek Online isn't the only game memorializing him in some way. Eurogamer reports that Elite: Dangerous, an outer-space sim that lets you take on the role of a space commander, has memorial plans as well. According to executive producer Michael Brookes, an upcoming Elite: Dangerous expansion will bring with it a "Nimoy Memorial station." Neat! 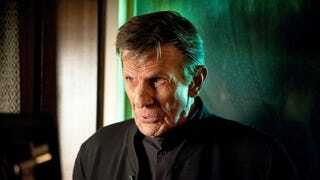 Similarly, space sim Star Citizen plans to add something special to the game to commemorate Nimoy. "I think it's safe to say that Mr. Nimoy was an inspiration to all of us on the team, both acting as Spock and because of his core, kind humanity," Ben Lesnick, a developer on the game, wrote on Star Citizen's forums. "We will find an appropriate way to honor him."